I was trying to figure out a nice schedule for my blog posts so I'd also get a bit more organised and so I could plan my posts ahead. So I figured out Tuesdays would be cool for my OOTD's ( Hopefully they will always be cool on those days). Today I'm wearing a completely new outfit that I got from Forever21. 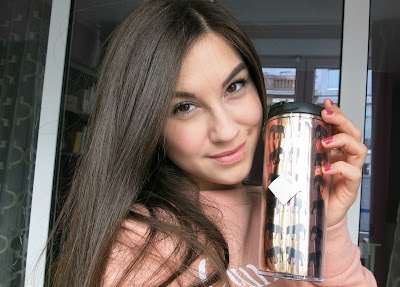 I actually bought a lot of things there recently, so I was also thinking of doing a Forever21 haul video. Let me know if you'd like to see one! 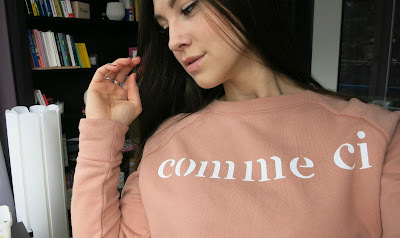 So, my top is a cosy dust pink sweatshirt with the print "comme ci" and I have to admit that I kiiind of went for this shirt just because I'm a language student... ( Am I already weird!?) But also, the colour is my favourite ( which you can also tell by the look of my flat). My most important accessoire today was my bottle with hot tea inside because I woke up to some terrible snow and was demotivated to leave the house straight away. Yesterday it was so nice and sunny and warm and today it's snowing and raining and freezing. Amazing.NOT. 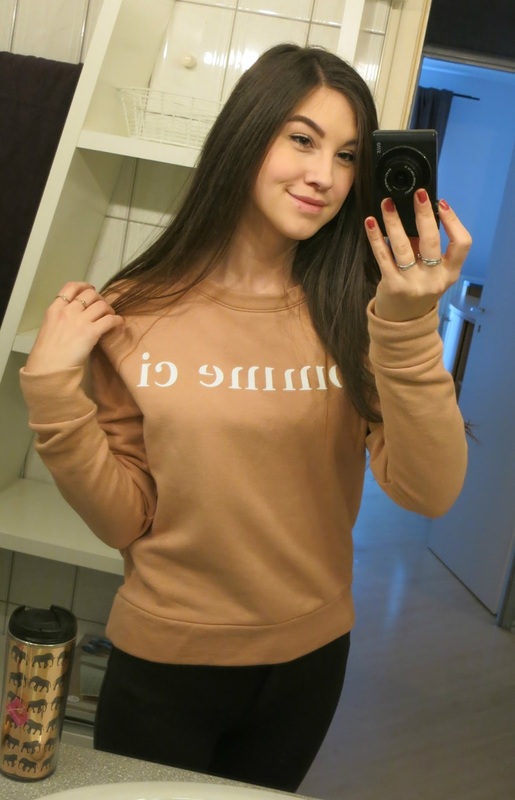 To stay comfy all day long I went for leggings instead of jeans. Here's what my also brand new leggings look like. They are grey and have a button and zipper like normal pants, plus they have pockets on the bum too! Very good purchase. 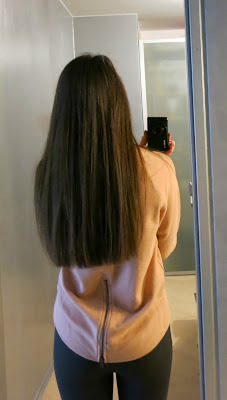 Also, look at how much my hair grew already! I don't even know when it happened!! The sweatshirt is a bit more cropped in the front and it hides your bum a bit in the back, so it is not just a plain sweatshirt and that's also why I like it. 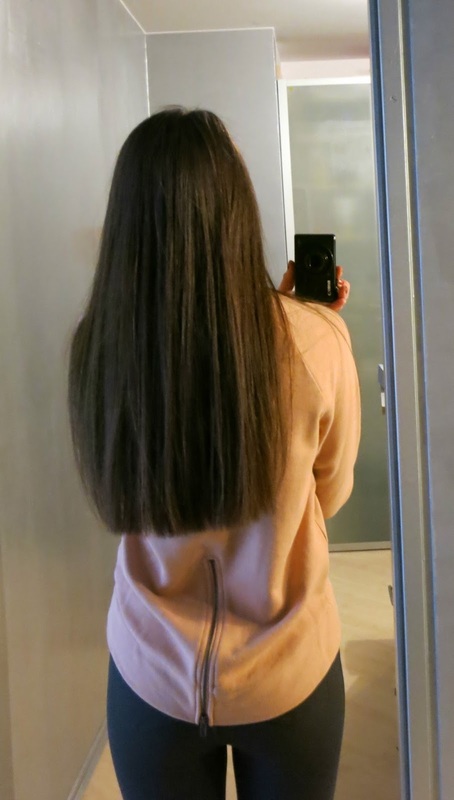 You can tuck it in to your pants in the front and leave it out in the back and it will also look super cute!